Driverless forklift trucks and the PALOMAT® AGV pallet magazine are a perfect pair when it comes to fully automating and streamlining the flow of pallets. PALOMAT® AGV is an ergonomic aid, which stacks and destacks empty pallets individually at floor level, fully automatically. The PALOMAT® is delivered with an interface for external equipment, which makes it possible to exchange signals between the PALOMAT® and driverless forklift trucks. Thus the two can communicate independently and maintain a constant and effective flow of pallets to and from the production line. PALOMAT® AGV simultaneously also ensures uniform docking and thus optimises the workflow of the driverless forklift truck. The PALOMAT® is always ready to either deliver (destack) a pallet or take (stack) a pallet from the driverless forklift truck at a uniform floor level. 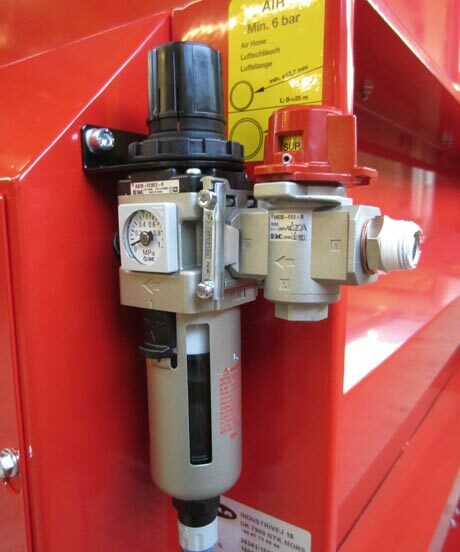 And if the PALOMAT® is empty or full, it will signal the driverless forklift truck, which will automatically ensure that the PALOMAT® is filled or emptied. 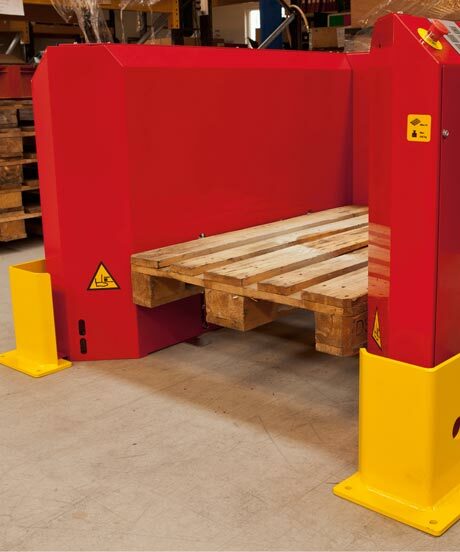 The pallet magazine/ pallet dispenser PALOMAT is a standard pallet magazine but has a lot of possibilities when it comes to types af pallets and sizes. Customer-specific solutions can be offered. As an option the PALOMAT can be modified to enable pallet handling in cold environments down to –25°C. With software: including the program in the PLC, which communicates with the interface. It is ready to communicate with driverless forklift trucks. Without software: the program in the PLC needs to be modified (using a TIA-program), so that it can communicate with the interface. The PLC has been prepared with wiring. With software:including the program in the PLC, which communicates with the interface. It is ready to communicate with driverless forklift trucks. Without software:the program in the PLC needs to be modified (using a TIA-program), so that it can communicate with the interface. The PLC has been prepared with wiring. Contac the PALOMAT® sales department for further information. The PALOMAT can be modified with other actuators to enable pallet handling in cold environments down to –25°C. 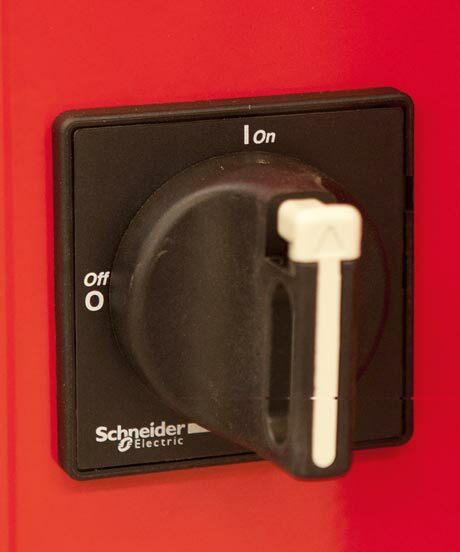 The shut off valve enables disconnection from the air supply right on the machine. The shut off valve can be locked, e.g. when servicing the machine. This is an advantage and a safety feature for maintenance of the PALOMAT® unit. The shut of valve is installed directly on the filter regulator.